Getting the job or changing the job sometime may become very difficult, as we face lot of challenges like information about an opportunity in an organization, position, responsibilities and many more. In today’s post, we are going to review five Apps which will help you in getting a new job or change it easily. First thing that first comes in job search or job change is Resume/Curriculum Vitae. My Resume Builder is a free app which will enable you to summarize the necessary details. 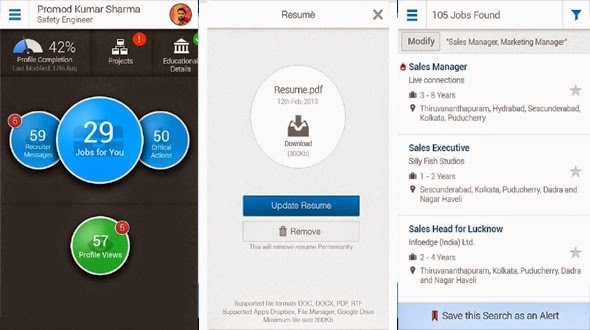 This app is very much useful to build the ready resume, with 10 different appealing resume formats. 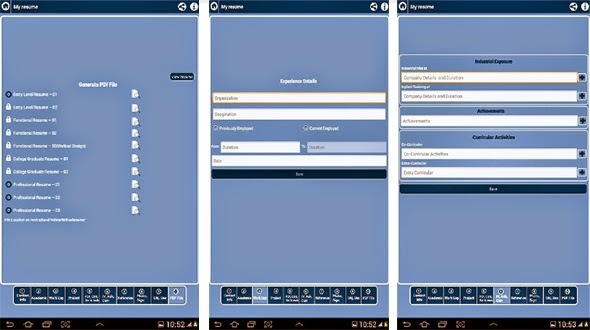 This App will help you achieve to create the ideal CV/resume. Using My Resume Builder you can make a professional looking CV/Resume for your both personal and professional growth. Next biggest thing in the job search is finding the correct opportunity, and Naukari.com app helps you to do exact the same. 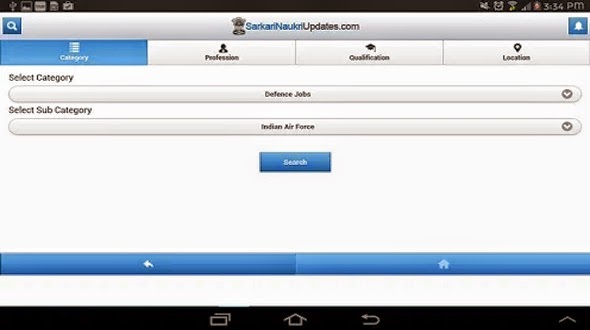 The Naukri Job search app helps you find the most relevant jobs with absolute ease even on the move. To start, you just have to register yourself with your resume. This app is same as the Naukri app, but has a very good feature of personal connection. You have an option of 2.2 lakh jobs to be searched from. You have to just register yourself and link your email and phonebook contact to find the job in your personal connection. 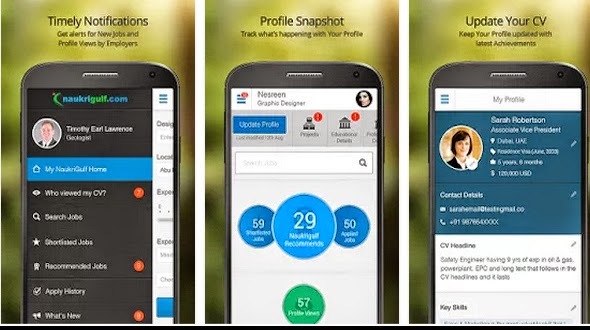 As the name suggests, this app is for all those who are looking for the government jobs. This app provides the updates from major government sectors. It has an easy to use interface with jobs listed under 4 major tabs that make your job search easier. 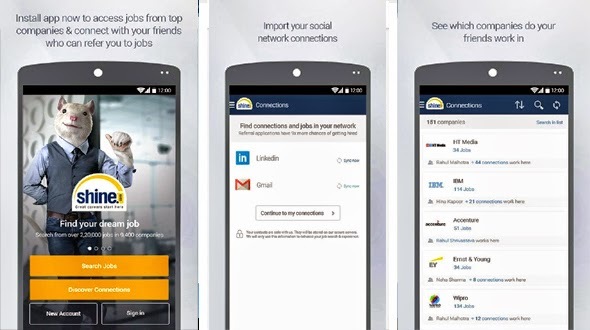 With this app you can search the job from your favorite category, in which you are looking for the job. 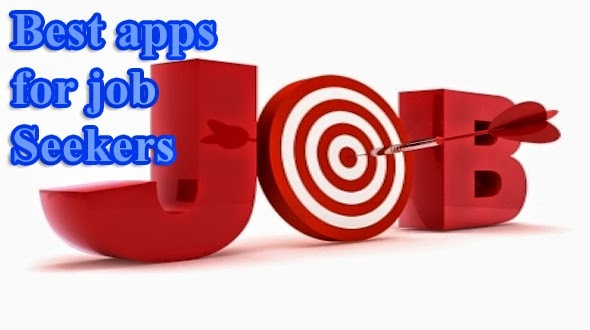 If you are looking for the job in the gulf countries then this is the best app for you, Naukri Gulf App lets you search and apply to the best jobs in Gulf. With this you can set the alerts for the latest opportunities, profile view by recruiters and reminders to update your profile. These are some cool and effective ways to search a job using your mobile, hope you have liked the post. To get the regular updates from APP GYAAN, subscribe to our RSS Feed.